Because of the response from Episode 140 (2 Ways to Dominate Facebook Marketing) I wanted to put together another show on Instagram Marketing. Remember, these are just 2 of the MANY ways to get more sales using Instagram; however, I have used these no-cost methods to help business owners get more people walking in the door and calling them for their products/services. In other words, this isn't just about brand building -- it affects the bottom line... something most small business owners deem important. DM stands for Direct Message, in case you didn't know. This is a way of sending a text message privately to an Instagram user. First thing to do is search in "Tags" for a keyword that is used by your target audience. For this example, let's pretend you are trying to sell a trampoline safety product. The business owner would simply go to Instagram and search "trampoline" on Tags. The results will show all the posts that used #trampoline. Then go through the pictures and tap one. This will take you to the user's profile. In the top right hand corner of the screen there are 3 little dots. Click that icon and then click "Send Message." In the message itself DO NOT try and sell them right away. Maybe just comment on their trampoline, the pic they had posted (perhaps it was funny or there was an injury). The reason you don't need to sell is that the person will almost always reply and then tap on your profile link. They will then be able to see your posts, and most importantly, the website address link at the top of your page. Don't sell using direct messages. Create a relationship, comment, and warm up to people. This works great for businesses that can only serve clients in their local area... perhaps they have a brick and mortar store. For this example, let's pretend you are a hair stylist. You should spend the 5-10 minutes between clients using this tactic. Go to the Search function on Instagram (bottom of screen, second button from the left). Search by "Places". Then select "Near Current Location" (or whatever city you are targeting). Then you will be able to see all the most recent posts that are created in your area. The hair stylist should then scroll through the pictures and try and pick out the people that look like they are interested in beauty, hair, style, modelling, etc. Then use tactic #1 and send them a direct message... telling them they look great and you would love to give them 2 or 3 free haircuts at your store. Guess what they are going to do after you style/cut their hair?? Post another picture of themselves and mention your business. Word of mouth marketing at it's best: that is social media in a nutshell. Too many people try to push products and Sell, Sell, Sell on social media. That technique doesn't work as effectively on Facebook and Instagram. Remember if you try and start a conversation online with "I want" or "Could you please?" or "Check out my page" you will be categorized as Spam in the minds of consumers. Don't be thinking "What can I get from so-and-so?" You should be asking, "How can I add value to this individual?" Take the time to personalize your messages and take interest in what the individual is involved in by looking around on their profile. Show that you care about them and their interests and soon you will create a friendship... Which MAY or MAY NOT lead to a sale. Good luck on the Insta! This episode was sponsored by Freshbooks. Track all of your marketing dollars and other expenses from your smartphone. Use FreshBooks.com/Bootcamp for a free trial. No credit card required! As for minor and extra focused hash tags, these are big to use as you can dominate that region, and stay on top of that supply. I delighted in over read your blog entry. Your blog have lovely data, I got savvy considerations from this amazing blog. I am constantly looking like this sort blog entry. Marketing brands through Instagram has gained significant prominence within a very short interval of time and the majority of digital marketers have started giving considerable importance to this segment of social media. I am a professional content developer working for a SEO article writing services provider and have started to learn a bit about social media marketing. Your provided tips are really helpful and gave a great opportunity to learn more about Instagram marketing. While Instagram is one of the quickest developing applications, it is likewise shockingly a standout amongst the most underutilized by advertisers. Emerge from the opposition with these seven tips for utilizing Instagram like a pro. Being someone who has written a descriptive dissertation about Digital Marketing and its scope, so I didn't miss this social media platform as a form of marketing online. Definitely, Instagram has emerged as amazing photo-sharing app for the people. Instagram is a quickly developing stage and organizations are anxious to build up a nearness and energize engagement on the system. Instagram is fun and unconstrained. In any case, on the off chance that you need to utilize it as a promoting device, you must be somewhat more figuring with it. Well there is no positive and negative parts of Instagram. Furthermore, the organization Instagram not constraining you to introduce and make your record yet according to the sources and patterns individuals use to appreciate this Application. So that's how my favorite transportation company markets itself. This year Instagram top social media network because millions of people used this network. 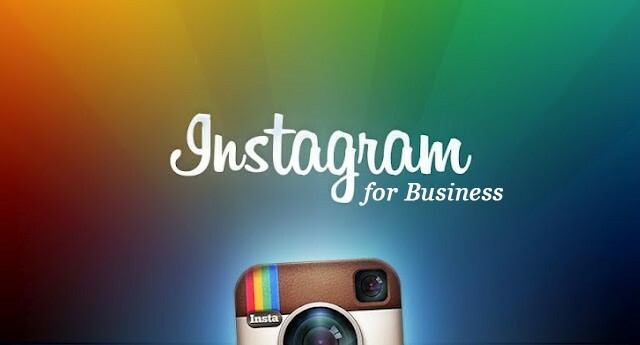 Thanks for publishing marketing ways on intagram really it are much effective on every company branding. While there are many things to listen in a business podcast one also need to know the branding and marketing know-hows and learning the art of entrepreneurship. Many of these things have to be experienced and get a grip. The <a href="https://anchor.fm/brandlitic"> brand marketing podcast</a> is here for all your queries on the entrepreneurship and its tips and tricks. Great information provide by this blog thanks for sharing the useful information. Its really helps.